Watch Forelock - Young Messenjah on YouTube! Forelock, the voice of the Sardinian band Arawak has published the music video of Young Messenjah, a one drop song that anticipates the release of his solo album on the 1st October. The production of the song is by DJ Afghan for the Soulove Records while the direction of the music video is by Diego Capomagi Barabba and Emilio Canu. The location chosen for the video is Portoferro beach in Sardinia. While we are waiting for the new album, here is the link of Young Messenjah from the official channel of the Soul Love Records. Big up Forelock! Forelock, voce della band sarda Arawak, pubblica il videoclip di Young Messenjah, una one drop song che anticipa l’uscita del suo album solista il prossimo 1 ottobre. La produzione del brano è stata affidata a Dj Afghan per l’etichetta Soulove Records, mentre la regia del videoclip è ad opera di Diego Capomagi Barabba e Emilio Canu. La location scelta è Portoferro Beach in Sardegna. Nell’attesa di poter ascoltare per intero il suo nuovo disco, vi linkiamo il videoclip di Young Messenjah sul canale ufficiale della Soul Love Records. Big up Forelock! 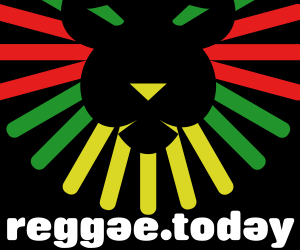 Forelock, in these last years proved to be the most promising voice of the Italian reggae: with a lot of collaborations, started during his last journey in Jamaica, he achieved the title of “Top singa” by reggae community, in Italy and abroad. During 2013 he became part of the project "Dubfiles", under the artistic guidance of Paolo Baldini, which has also collaborated with big artists such as Mellow Mood, Sr. Wilson, Andrew I, at the Alambic Conspiracy Studio.